The Longines Conquest is the quintessential expression of the brand's sporting elegance. Special attention has been paid to the aesthetics of the bezel, the cabochon crown and the links, all made of ceramic. As a subtle marriage of steel with ceramic, performance with elegance, the Longines Conquest includes technical characteristics that meet the requirements of the most demanding sportsmen and women. 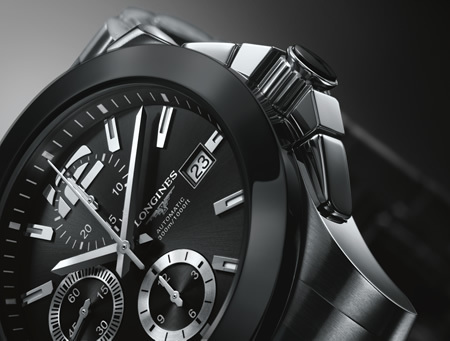 The Longines Conquest has a fixed bezel and a cabochon crown made of black, grey or white ceramic. Some models come with black or grey ceramic links that make up the bracelet. This material is a combination of beauty and exceptional technical features. Scratch-proof and non-allergenic, ceramic is impervious to all chemicals as well as being almost totally resistant to friction, abrasion and high temperatures. Its sheen contrasts with the brushed finish of the steel used for the case and the bracelet. The black, grey or white of the dial with its sleek design is a subtle reminder of the quality of the ceramic. The characteristics of the models in the Conquest line meet the requirements of the most demanding sports: water-resistance to 300 m, screw-in crown and case-back, and lateral protection for the crown. The 41 mm diameter stainless steel case houses a choice of a self-winding, chronograph or three-hand movement. These models are also available with a leather or rubber strap or with a stainless steel bracelet. Honda is announcing the arrival of the Honda Racer™, a much-anticipated 1/64th scale Hot Wheels car designed by Honda R&D Americas, Inc., in Torrance. The Honda model, along with designs from five additional automakers, were selected as part of the Hot Wheels Designer's Challenge™ as a way to celebrate the die-cast brand's 40th anniversary. The Honda Racer arrives on store shelves in May 2008. "The Honda Racer combines the excitement of Honda's racing heritage with Hot Wheels' reputation for speed, power, performance and attitude," says Guillermo Gonzalez, senior designer of Honda R&D Americas, Inc., and designer of the Honda Racer. "The core concept is built around our idea for an 'ultimate racecar' and leverages the design freedom made possible by a scale model car." "Sure, it is awesome to play with the cars on the orange track again, but I discovered that designing a Hot Wheels car is very different and in some ways more liberating than designing a production car," says Gonzalez, a native of East Los Angeles who considers automotive design to be his dream job. "For example, the primary design constraint is that the car had to fit on the orange track and perform a loop. Aside from that, the possibilities are without limit." 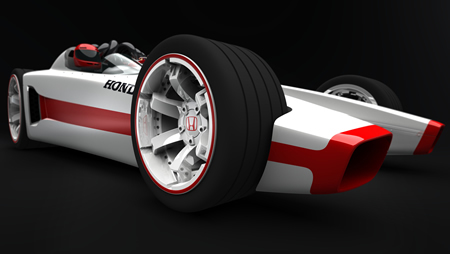 The key element to the design of the entire car is that the body is in the shape of the Honda "H" emblem. The exterior shape resembles an imaginative side-by-side racecar of 1960s vintage that encloses a driver and a navigator. The general shape, styling and paint scheme is further inspired by Honda's early participation in Formula 1 racing and its 1967 RA 273™ racecar. 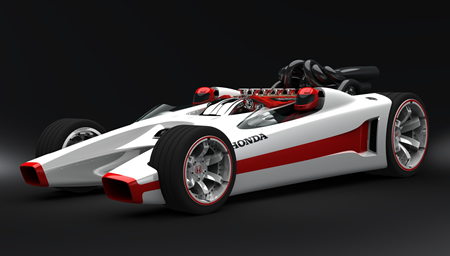 The white and red paint scheme, the open cockpits, large exhaust system and open wheels are all elements inspired by the historic Honda racecar. The design of the Honda Racer debuted at the 2007 Specialty Equipment Market Association (SEMA) show in Las Vegas in October as a 1/5th scale model. Mattel invited auto manufacturers to participate in the Hot Wheels Designer's Challenge as part of the die-cast brand's 40th anniversary celebration. Mattel, Inc., (NYSE: MAT, www.mattel.com) is the worldwide leader in the design, manufacture and marketing of toys and family products. The Mattel family is comprised of such brands as Barbie, the popular fashion doll, Hot Wheels, Matchbox, American Girl, Radica and Tyco R/C. Starting in mid-August, the Honda Racer 1/5th scale model and other cars from the Designer's Challenge will be part of the Hot Wheels 40th anniversary road trip traveling along historic U.S. Route 40, stopping at multiple cities along the way. The tour starts at the Mattel headquarters in El Segundo, California, in August and ends at Watkins Glen, New York, in early September. Mazda North American Operations today confirmed that its all-new MAZDA6 sports sedan will launch later this year, with an expected on-sale date in late summer, 2008. 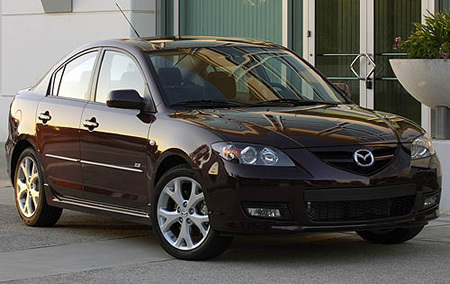 The highly anticipated 2009 MAZDA6 is the first of Mazda's "Zoom-Zoom Evolution" second-generation vehicles, building on a heritage of sports sedans and sports cars. Following on the heels of the CX-7 and CX-9 crossover SUVs, the 2009 MAZDA6 was designed and engineered for the needs, wants and desires of the North American customer. As it has been since the first MAZDA6 launched in 2002, all North American MAZDA6s will continue to be built at AutoAlliance International, in Flat Rock, Mich, a joint venture with partner Ford Motor Company. "This is the most important new vehicle Mazda has launched in a decade," said Jim O'Sullivan, president and CEO, Mazda North American Operations, from Denver, where the car was unveiled to Mazda dealers a day earlier at the company's North American Dealer Meeting. "The midsize sedan segment -- where MAZDA6 competes -- is a real battleground, with some of the best vehicles in the industry going toe-to-toe for sales. This new MAZDA6 was designed and engineered specifically for the North American market -- the third Mazda in a row to be so -- and will take on the very best cars from Asia, Europe and the U.S."
The North American MAZDA6 differs from the similarly named car sold in the rest of the world in many ways: larger interior and exterior size, more powerful engines and unique styling. Transmission choices are a six-speed manual or five-speed Sport AT automatic with manual-shift mode (2.5-liter engine) or a six-speed Sport AT automatic with manual-shift mode (3.7-liter V6). 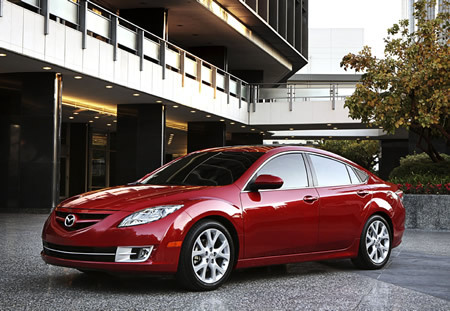 The 2009 MAZDA6 will be available only as a four-door sedan, and in three trim levels: Sport, Touring, Grand Touring, with varying levels of standard and optional equipment. Photo: Danica Patrick savors victory in Japan as she made racing history on Sunday; the first woman to ever win a race in the sport of U.S. open-wheeled racing. Tissot Swiss watches is congratulating its ambassador Danica Patrick on her historic win and will be producing a watch to celebrate her victory. 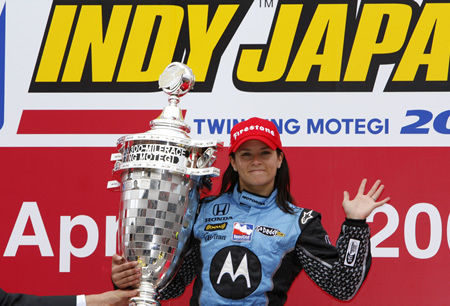 The right attitude and determination drove Danica Patrick to make racing history as the first woman to ever win a race in the sport of U.S. open-wheeled racing clinching her victory in the Japan 300. Tissot Swiss watches are congratulating their ambassador Danica Patrick on her historic IndyCar(R) win and who now moves up to third in the overall standing. Danica has been a brand ambassador for Tissot since 2005. "Tissot is very proud of our extraordinary ambassador, the first woman ever to capture victory in U.S. open-wheeled racing. For Tissot, Danica Patrick fits perfectly with the brand's values of innovation, quest for performance and stretching oneself to the limits and we believe that she is a real asset to our brand and an example to many young people around the world," said Tissot President, Francois Thiebaud. Photo: Tissot is releasing the new PRC 100 Danica Patrick Limited Edition to celebrate Danica's victory in Japan. The new watch complements Danica's personality and accomplishments. Features include chronograph watch with tapered rows of 27 glittering diamonds around a mother-of-pearl dial in an angular case. An engraved case back features Danica's signature and the limited edition number. Finishing off the watch is either a stainless steel bracelet or white rubber strap. Perfect for any woman who wants style combined with sport. Danica's momentous accomplishment and her flair for fashion deserve a watch to complement her and Tissot will be releasing the new PRC 100 Danica Patrick Limited Edition. Her new watch is precise, robust and classic -- mirroring key requirements of the IndyCar(R) competitive environment. 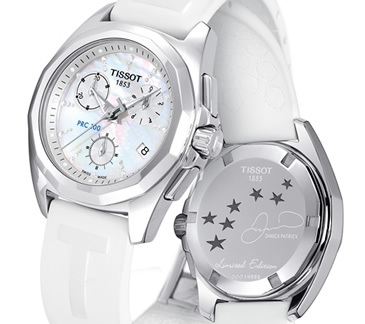 The chronograph watch has a dynamic look that will sparkle on a woman's wrist. Tissot, founded in 1853, is today a member of the Swatch Group, the world's largest watch producer and distributor. For over 154 years the company has had its home in the Swiss watch making town of Le Locle in the Jura mountains but now also has a presence in over 150 countries. Tisssot is official timekeeper and partner of NASCAR(R), AFL, CBA, MotoGP and the World Championships of cycling, fencing and ice hockey. 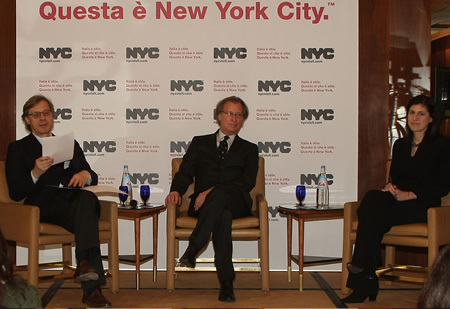 Photo: NYC's Marketing and Tourism Chief Launches Communications Campaign in Milan, Italy, with Special Preview of Metropolitan Museum's Newest Exhibition. NYC & Company, New York City's official marketing, tourism and partnership organization, has released its first-quarter visitor projections, showing an estimated one million more visitors came to the City compared to a year ago, and while here, they spent more money than the previous year. As the America's safest large City, New York City continues to benefit from lower crime, safer streets and better manageability. An estimated 9.5 million tourists visited the City between January 1 and March 31, up from a forecasted 8.5 million during the same quarter a year ago. Visitor spending also climbed to a forecasted $6.3 billion total in the first quarter compared to an estimated $5.6 billion during the same period a year ago. The City expects that approximately 19% of total visitors -- or about 1.8 million -- will come from international markets, with spending expected to be 20% above forecasts from the same quarter last year. Photo : Tourist Couple in City with Map, New York City, New York, USA. Photo : International Visitors: Man Taking Woman's Picture in City Park, New York City, New York, USA. "New York City is operating on all cylinders, making the destination appealing to visitors from around the globe," said NYC & Company CEO George Fertitta. "The City, under the leadership of Mayor Michael R. Bloomberg, is in the midst of an extraordinary moment in time: our neighborhoods are cleaner and safer than ever before, and our arts and cultural institutions are more vibrant than ever. The weak dollar also continues to attract international visitors from around the globe -- a segment that accounts for more than 50% of total visitor spending." NYC & Company has taken a global approach to marketing New York City by focusing on key international markets in order to position the City to capture its maximum share of international travelers -- visitors who stay longer and spend more. Since the merger of NYC & Company in 2006 with NYC Marketing and NYC Big Events, and the commitment by Mayor Michael R. Bloomberg to provide additional funds to expand the City's global reach, NYC & Company has opened 10 new offices, bringing the total to 17. Representatives on behalf of New York City are in the following locations: United Kingdom (London), Germany (Munich), France (Paris), Italy (Milan), Ireland (Dublin), Argentina (Buenos Aires), Mexico (Mexico City), Spain (Madrid), Benelux (Amsterdam), Scandinavia/Finland (Stockholm), Russia (Moscow), China (Shanghai), Korea (Seoul), Japan (Tokyo), Brazil (Sao Paulo), Canada (Toronto) and Australia (Sydney). Photo: Thomas Glocer the new CEO of Thomson Reuters today unveiled its new branding and global advertising campaign across from multiple screens in Times Square, New York City. Mr. Glocer said, "The dynamic new corporate identity is a marked departure from the historical look and feel of the two companies and represents Thomson Reuters positioning as the world's leading source of intelligent information to businesses and professionals." The Thomson Corporation has completed its acquisition of Reuters Group PLC, forming Thomson Reuters (NYSE: TRI; TSX: TRI; LSE: TRIL: NASDAQ: TRIN), the world's leading source of intelligent information for businesses and professionals in the financial, legal, tax and accounting, scientific, healthcare, and media markets. At the same time, Thomson Reuters unveiled its new branding and a global advertising campaign. Mr. Thomas H. Glocer, chief executive officer of Thomson Reuters said, "The dynamic new corporate identity is a marked departure from the historical look and feel of the two companies and represents Thomson Reuters positioning as the world's leading source of intelligent information to businesses and professionals." Thomson Reuters has more than 50,000 employees with operations in 93 countries on six continents and 2007 pro forma revenues of approximately US$12.4 billion. Commenting on the just created Global Leadership Position of Thomson Reuters, Mr. Glocer said, "This is a very exciting day for our shareholders, customers and employees. Thomson Reuters will deliver the intelligent information needed to give businesses and professionals the knowledge to act. We call our information "intelligent" because it is not only insightful, highly relevant and timely, but it is also made available in formats which applications can consume and to which they can add further value. We are witnessing the maturation of the information economy and content from Thomson Reuters will be its currency." "Thomson Reuters will benefit from the value created by more diversified revenue streams, a larger capital base and synergies resulting from the acquisition. Our leadership position and global footprint will give us opportunities to grow faster than either Thomson or Reuters could have on its own," said Mr. Glocer. Hurley to Star in New Print and Television Advertising Campaigns. Photo: Pictured here is Estee Lauder spokesmodel Elizabeth Hurley's new print advertising campaign for Estee Lauder's top-selling Perfectionist [CP+] Wrinkle Lifting Serum. In July, Elizabeth Hurley will be featured in new print and television advertising for Estee Lauder's top-selling Perfectionist [CP+] Wrinkle Lifting Serum. This summer she will also be seen with her fellow Estee Lauder spokesmodels Gwyneth Paltrow, Carolyn Murphy and Hilary Rhoda in the print advertising campaign for Estee Lauder's new fragrance. The year 2008 marks the thirteenth anniversary of Elizabeth Hurley's partnership with Estee Lauder, one of the longest running cosmetics contracts to date. Photo: Estée Lauder spokesmodel, Elizabeth Hurley. Photo: Estee Lauder pleasures and Pleasures For Men, representing the fourth largest global fragrance masterbrand. Over the years, Elizabeth has appeared in advertising campaigns for some of Estee Lauder's product franchises. In addition to launching the best-selling pleasures fragrance in her first year with the company, Elizabeth has represented the Beautiful, DayWear, Double Wear, Idealist, Advanced Night Repair, Re-Nutriv and most recently Resilience Lift Extreme lines. Photo: Celebrating her 13th anniversary with Estee Lauder at an event in New York City, spokesmodel Elizabeth Hurley is pictured here with husband Arun Nayar, Evelyn Lauder and Leonard Lauder. "As a busy mother and entrepreneur, Elizabeth connects with women all over the world. She is a classic beauty who reflects today's modern woman," says Aerin Lauder, Senior Vice President, Creative Director for Estee Lauder. "Elizabeth Hurley and Estee Lauder have a very special relationship," says Evelyn Lauder, Senior Corporate Vice President, The Estee Lauder Companies. "Her 13 year tenure with us is a near record in the beauty industry and we are very proud of our relationship. Elizabeth's popularity with the consumer is at an all time high." And spokesmodel Elizabeth Hurley adds, "Estee Lauder is like a second family to me; I love working with them." The department store Lord and Taylor has re-launched its iconic Rose, first introduced in the 1940s and now re-created and re-colored in "sunrise," (a mixture of yellow and orange the store has adopted as its own). The exuberant new Lord and Taylor Rose is showcased on shopping bags, boxes, gift cards and in-store visuals in all 47 Lord and Taylor stores in the Northeast USA. In Manhattan, collages of the Rose are displayed in awnings and windows across the Fifth Avenue facade of the landmarked flagship store and wrap buses that carry New Yorkers and visitors to and from metro area locations. Lord and Taylor is an upscale specialty department store with 47 stores in nine states and the District of Columbia. Founded in 1826, Lord and Taylor is America's oldest department store and one of the premier retailers. The store is also conducting its first annual contest to re-create the Lord and Taylor Rose from submissions of original art work by artists from around the world. "We are planning to bring back the Lord and Taylor Rose each Spring, each time a different version created by a different artist," says Jane Elfers, President and Chief Executive Officer. Artists, graphic designers and photographers can get details and contest rules by visiting www.lordandtaylor.com/rosecontest. Registration and submissions will take place online through May 26. Industry experts will select 60 entries and their images posted on the website on June 9. The public will have the opportunity to vote for their favorites, one vote per e-mail. The first round of the vote will close at midnight, June 22. Thirty top entries will be posted on the website, June 25, and the second round of voting will begin, ending at midnight, June 30. The winner will be announced on July 2. Besides having his or her Lord and Taylor Rose showcased in the store flagship's Fifth Avenue awnings and windows as well as in shopping bags, boxes, gift cards and in- store visuals in all Lord and Taylor stores next Spring, the winner will receive a $10,000 cash award and multiple mentions in national and international press. The re-launch of the Rose is part of the Lord and Taylor rebranding campaign. 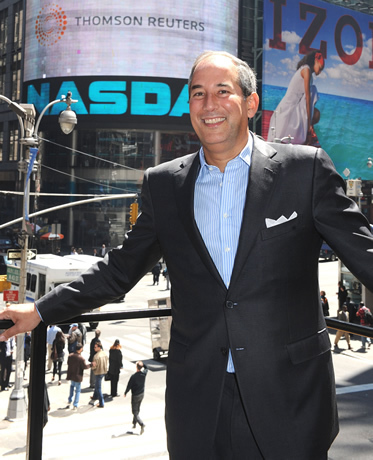 The campaign, created by David Lipman, Chairman of LIPMAN, a leading branding and integrated advertising agency, aims to modernize the store's image. The campaign is showcasing the results of Lord and Taylor CEO Elfers' commitment to upgrading merchandise assortments, in-store services, amenities, and brand packaging, while upholding Lord and Taylor's 182 year history. BERLIN, April 9, 2008 -- Daimler AG is expecting approximately 6,600 shareholders to attend today's first Annual Meeting under the new name of Daimler in Berlin. Six months after the start of Daimler, Chairman of the Board of Management (CEO) and Head of Mercedes-Benz Cars Dr. Dieter Zetsche sums up: "All of our business operations are developing well -- our key figures are significantly better than they have been in recent years." Addressing the shareholders, Zetsche says, "Your Company has made substantial progress over the past two years. Old virtues have given us new strength." Looking into the future, the Chairman of the Board of Management says, "We have a clear strategy for sustainable profitable growth." Sustainable mobility and accident-free driving are the most important focuses of Daimler's research and development work. "We invented the automobile -- and we are passionately shaping its future," Zetsche says. The world is embarking on a second "automotive century," in which the number of automobiles in the world is growing five times as fast as its population. In the long term, this increase will only be ecologically acceptable if passenger cars and commercial vehicles become cleaner. Zetsche: "Customers expect us to provide solutions -- and we are willing to accept a pioneering role when it comes to clean and safe automobiles." Daimler has the required innovative power and the financial means to meet this challenge. Daimler's "road map for sustainable mobility" consists of three pillars: the ongoing optimization of vehicles with innovative combustion engines; the additional improvement of efficiency through hybridization -- i.e. the combination of a combustion engine with an electric motor; and zero-emission driving with fuel cells and battery-driven systems. Photo: Susanne Baldszun with her new smart fortwo cabrio (pulse 62 kW) and Ulrich Kowalewski, Director of the Mercedes-Benz Center Munich. Yesterday afternoon, Kowalewski handed over the 100,000th second-generation smart fortwo to this 36-year-old customer in the recently re-opened smart Center Munich. "The new fortwo is even more comfortable, more agile, safer, and more environmentally friendly than its successful predecessor," says Anders Sundt Jensen, who is responsible for brand management at smart. "The new fortwo is now offered in 37 countries, where enthusiastic customers are won over by the vehicle's lifestyle-oriented design, as well as its exceptional fuel economy and environmental compatibility." The unique two-seater is most popular with customers in Italy and Germany, who account for two-thirds of all drivers of the new fortwo. Demand is particularly high for the premium equipment line "passion", which is chosen by two out of three buyers worldwide. Zetsche emphasizes that Daimler will not start building only small cars: "Our route to sustainable mobility is based on technological innovations, not renunciation." The company has the concrete goal of offering at least one model in each of the Mercedes-Benz core model series that is a leader in terms of consumption and emissions. In addition zero-emission driving, Daimler is also pursuing the goal of accident-free driving. According to the text of his speech, Zetsche essentially confirms the outlook for 2008 and the coming years that was presented at the Annual Press Conference: "Currently, the economic climate suggests that things will get tougher rather than easier." Key factors are the credit crisis in the United States, the ongoing weakening of the Dollar against the Euro, the development of the raw material markets, and the low level of confidence in the U.S. economy with possible effects around the world. In Daimler's view, the automotive markets will not remain unaffected by these developments. For example, the demand for passenger vehicles in the United States is likely to be much lower this year than in 2007; in Western Europe, it is expected to remain flat. Growth in the industry will therefore continue to be driven by the emerging markets, whose growth is so dynamic that it will more than offset the triad's weakness. Overall, Daimler assumes that the global market for passenger cars will grow by approximately 2% in 2008. With regard to commercial vehicle markets, Europe is expected to maintain last year's high sales level. In North America, Daimler does not anticipate a recovery before the second half of the year. As a partner of the Theodora Foundation for the past two years, Gerald Genta will be contributing to the charity auction organised by Christie's on April the 16th by donating a one-of-a-kind watch. The unique model is a sophisticated and amusing timepiece that plays on the colors of the foundation. The Theodora Foundation was born in Switzerland, in 1993, at the initiative of Andre and Jan Poulie. It is named in tribute to their mother, Theodora, who brightened Andre's childhood days during an extended hospital stay. The mission of its Dream doctors is to care for sick children through laughter. They currently operate in over 40 institutions around Switzerland and the concept has been taken up in eight other countries. 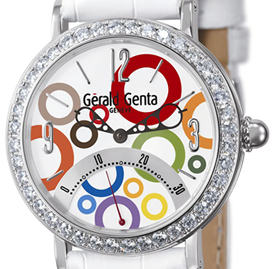 In all, around 30 specifically trained professional artists pay regular visits to 95 hospitals or specialised institutions some 220,000 times a year and adapt their clown shows to the situation of each child they meet..
Gerald Genta, an Haute Horlogerie brand with a fine appreciation for the humourous, supports the Theodora Foundation. For the second year running, it is donating a one-of-a-kind watch to the auction. This self-winding ladies' watch displays the hours and the minutes by central hands, and the seconds on one of the brand's typical retrograde counters, appearing at 6 o'clock. The particularly entertaining dial features a richly colourful and complex composition set against a white-lacquered background. The thirteen individual rings appear on various levels and are individually coloured using a sophisticated technique. This enchanting decorative effect is further magnified by a circle of diamonds set on the bezel of the white gold case. The "Magnificent Jewels Auction" to be organised by Christie's, will take place in New York in April the 16th and will be preceded by several exhibitions around the world. Celebrating four decades of milestones, DONNA SUMMER adds another accomplishment to her list with the recent success of "I'm A Fire." "I'm A Fire" has risen to #1 on the Billboard Hot Dance Club Play Charts making it her 13th #1 single to top the club charts and her 19th #1 charting single across all charts. This is Donna's first #1 hit in almost 10 years. Donna Summer is the only artist to have had a #1 charting dance hit in every decade since the 1970's. 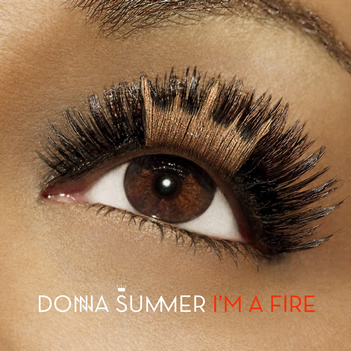 "I'm A Fire" was remixed by several remixers including Solitaire, Craig C, Rod Carrillo, Redtop, Matty Soulflower and Baggi Begovic & Soul Conspiracy. The Rocasound original version is a track from Donna's upcoming CD Crayons which will be released on May 20 2008 on Sony BMG Music Entertainment's Burgundy Records. Crayons will be Donna's first album of all new material to be released in 17 years. Containing a mix of the up-tempo tunes and ballads, the new album showcases new material that is written by Donna working with several renowned writers and producers. NADAguides.com, a vehicle pricing and information website, says that from January to March 2008, consumer interest in its mini-compact category increased 128 percent, while consumer interest in its sub-compact and compact categories increased 83 percent and 77 percent respectively. N.A.D.A. 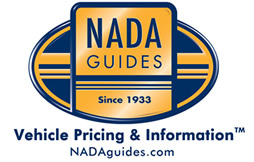 Appraisal Guides (NADAguides.com) is the world's largest publisher of vehicle pricing and specification information for new and used cars, trucks, vans, and SUVs. 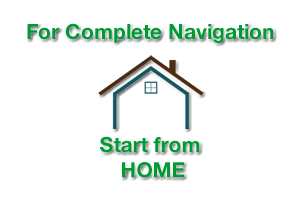 The compact car segment at NADAguides.com consists of three sub-categories designated as mini-compacts, sub-compacts and compacts, while 'consumer interest' pertains to the amount of people who obtained pricing for a vehicle at NADAguides.com. In the last two months, consumer interest in the overall compact car segment at NADAguides.com increased an average of 96 percent -- a fact the company's experts believe is closely related to an average nationwide increase in fuel prices of 19 cents per gallon during that same timeframe. "We believe there is a direct correlation between the significant increase in consumer interest in the overall compact car segment of our website and the average nationwide increase in gas prices so far this year," said Don Christy, Jr., president and CEO of NADAguides.com. "In our opinion, car buyers are feeling the pinch at the pump and are researching more economical, fuel efficient vehicles as a result." Nine of the top 25 makes and models that showed the most dramatic increase in consumer interest at NADAguides.com during the last two months were in the compact car segment. These nine compact cars represent the largest segment percentage with the most dramatic increase in consumer interest. Of the top 25 most researched new cars across the entire NADAguides.com website, five were compact cars, with interest in the 2008 Mazda MAZDA3 increasing 105 percent and interest in the 2008 Toyota Yaris increasing 102 percent from January to March. The 2008 Honda Civic Sedan, which has long been a commonly researched vehicle, showed an increase in consumer interest of 80 percent during that same timeframe. The Toyota Corolla, which experienced its model year changeover during this timeframe, was also immensely popular with the 2008 model ranking 12th in overall interest and the 2009 model ranking 20th in overall interest for the month of March. 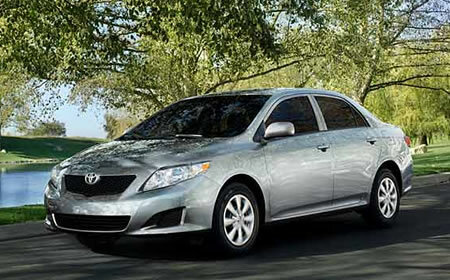 "The Toyota Corolla is completely redesigned for 2009, which explains an increased interest in the 2009 model at NADAguides.com," said Christy. "However, the fact that the 2008 model ranked 12th in overall interest further validates the fact that consumers are increasingly interested in compact cars as fuel prices continue their ascent." 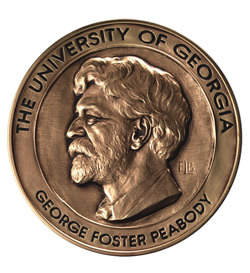 ATHENS, Georgia, April 2, 2008 -- Thirty-five recipients of the 67th Annual Peabody Awards were announced today by the University of Georgia's Grady College of Journalism and Mass Communication. The winners, chosen by the Peabody board as the best in electronic media for 2007, were named in a ceremony in the Peabody Gallery on the University of Georgia Campus. Recipients include "The Colbert Report," Comedy Central's cable-news satire, and "A Journey Across Afghanistan: Opium and Roses," a documentary from Bulgaria's Balkan News Corporation (bTV). "Whole Lotta Shakin," the Texas Heritage Music Foundation's rollicking public-radio series chronicling the 1950s heyday of rockabilly music received the award, as did "Univision's Ya Es Hora," a public-service campaign that taught legal aliens how to apply for American citizenship. The entertainment series selected included "30 Rock," Tina Fey's hilarious send-up of TV sketch shows and her own network, NBC; and "Project Runway," Bravo's fashion-designer competition. Peabodys also went to "Mad Men," AMC's richly detailed and evocative drama set in the world of New York advertising in the early 1960s. In a strong year for local television news, Dallas' WFAA-TV earned a Peabody for four reports that underscored its commitment to investigative work: "Money for Nothing" revealed slipshod lending practices by the U.S. Export-Import Bank. A Peabody went to "Speaking of Faith: The Ecstatic Faith of Rumi," from American Public Media. This edition of the long-running series explored resurgent interest in the 13th century Persian poet. "The Brian Lehrer Show," from New York's WNYC, was cited for being true "community-building radio," a shrewd blend of news analysis, civil conversation and call-ins that brings together the city's wildly diverse citizenry. "White Horse," a beautiful and probing feature segment of BBC America's nightly newscast was recognized for illustrating the human and environmental toll of the Chinese government's massive efforts to modernize its hinterlands. A Peabody went to "CNN Presents: God's Warriors," a three-part, six-hour documentary series that examined the rise and impact of fundamentalism in Judaism, Islam and Christianity. The Peabody Board is a 16-member group, comprised of television critics, broadcast and cable industry executives and experts in culture and the arts, that judges the entries. Selection is made by the board following review by special screening committees of UGA faculty, students and staff. The Peabody Awards, the oldest honor in electronic media, do not recognize categories nor are there a set number of awards given each year. Today the Peabody recognizes distinguished achievement and meritorious public service by stations, networks, producing organizations and individuals. "The range of genres, the variety of topics and the consistently high quality of submissions for Peabody consideration indicated again that amazing work is being done in electronic media," said Horace Newcomb, Director of the Peabody Awards. "The Peabody Board labored through many hours of discussion and deliberation to select these works from among more than a thousand outstanding entries." "As always," Newcomb said, "it was exciting to discover deeply serious work in entertainment, entertaining work in documentaries, education in news reports and thoughtful perspectives on the news in everything from game shows to parody. The Peabody Awards, in all their diverse and innovative examples, are models for what can and should be done across the board." The awards will be presented on June 16 at a luncheon at the Waldorf- Astoria Hotel in New York City. Brian Williams, the distinguished anchor and managing editor of "NBC Nightly News," will be the master of ceremonies. • 30 Rock Universal Media Studios in association with Broadway Video Television and Little Stranger Inc.
Tina Fey's creation is not only a great workplace comedy in the tradition of "The Mary Tyler Moore Show," complete with fresh, indelible secondary characters, but also a sly, gleeful satire of corporate media, especially the network that airs it. • Art:21 - Art in the 21st Century Art:21, Inc.
Trusting artists to speak for themselves and viewers to "get" what they talk about, the PBS series provides a unique forum for the display, analysis and appreciation of myriad forms of contemporary visual art. Delving into the "adventurous, cosmopolitan" Islam of a 13th century Persian poet now enjoying revival worldwide, this public-radio series continues to illuminate connections among people of all faiths. Severely injured by a roadside bomb in Iraq, Woodruff made wounded veterans and their struggle with recovery and red tape his special focus and served them well with his sensitive, dogged reporting. The Dallas station distinguished itself with not one but four investigative series in 2007, probing dubious practices by the U.S. Export-Import Bank, the Texas Railroad Commission, a police department that got too cozy with a TV sexual-predator sting operation and a Homeland Security Prison holding immigrant families. The centerpiece of this thoughtful, topical edition of NOVA was the recreation, verbatim, of key testimony and argument from a six-week trial in Pennsylvania that served as a crash course in modern evolutionary theory, the evidence for evolution and the nature of science. A red-hot retrospective of rockabilly music, this 10-part series distributed by Public Radio International blended rare interviews, archival radio broadcasts and foot-stomping tunes by obscure practitioners as well as legends such as Jerry Lee Lewis and Carl Perkins. Uncommonly beautiful for a nightly news feature, but no less trenchant for being artful, it captured a rustic, sleepy inland village on the verge of obliteration by the Chinese government in its attempt to further the country's economic miracle. Mark Steiner's 55 weekly radio reports, four minutes each, gave voice to marginalized people -- low-wage workers, recovering drug addicts, the homeless -- who rarely get to speak for themselves in the mainstream media and, in doing so, made common social issues immediate and personal. In six hours over three nights, CNN explored how rising fundamentalist disenchantment with the modern, secular world has affected Judaism, Islam and Christianity in sometimes similar but also different ways. With a premise that questions our fondness for avenging heroes -- a serial killer who channels his dark urges into police forensics and the killing of other sociopaths -- this Showtime series is a masterful psychological thriller and a complex and ambiguous meditation on morality. Awesome, spectacular, humbling, exhilarating -- pick your effusive adjective -- the 11-part series documented the natural wonders of our world, some familiar, others never before seen, in stunning high-definition clarity. Two unflinchingly candid women who lost limbs while serving in the military in Iraq were the centerpiece of this powerful, thought-provoking report by correspondent Kimberly Dozier, a recovering war casualty herself. The Pittsburgh station's relentless legal campaign to obtain public records of a state-run student loan program netted evidence of financial misconduct and pushed the state to rewrite an antiquated right-to-know law. The anguish of the Israeli-Palestine conflict was embodied in this frank documentary about two mothers who lost their respective teenaged daughters, one a suicide bomber, the other her victim. Created to inspire boys and girls in their 'tweens and teens to consider an engineering profession, this lively, fast-paced series puts an educational emphasis into the reality-competition television format. • Craft in America: Memory, Landscape and Community Craft in America Inc. This three-hour chronicle of America's rich, ongoing traditions of weaving, quilting, woodworking and other craft art was as carefully wrought and as beautifully shot as its subject matter. More than a million legal Hispanic immigrants sought U.S. citizenship as the result of Univision's multi-faceted campaign to explain the benefits and responsibilities of becoming citizens and how to go about applying. The first in-depth investigation of an alarming, world-wide die-off of honeybees, this documentary underscored the critical role of these pollinators to our food supply and surveyed the forensics that have yet to solve the mystery. Surprising and visually distinctive, this Bulgarian news network's road trip yielded a rare, everyday Afghan perspective on the fighting between Taliban and western troops, while revealing fascinating efforts to supplant the growing of opium poppies with rose bushes to produce rose oil. Conductor Michael Tilson Thomas brought his wealth of knowledge and idiosyncratic insight to bear on subjects as diverse as Igor "Firebird" Stravinsky and James "Cold Sweat" Brown in this delightful, surprising public-radio series. A series that redeems the reality-contest genre, this face-off competition among upstart fashion designers demands, displays and ultimately rewards creativity that can't be bluffed. The brutal death of an Afghani cab driver while in U.S. military custody gave director Alex Gibney the central thread of his searing exploration of detainee interrogation techniques and who, ultimately, bears responsibility. This Phoenix station's unnerving expose of outrageous lapses in baggage-screening at the city's main airport shook up the Transportation Security Administration all the way to Washington, D.C.
A zippy update of one of broadcasting's long-ago staples, this live quiz show reminds listeners of the week's news even as host Peter Sagal and various panelists make witty sport of it. Directors Kim Longinotto and Florence Ayisi make viewers flies on the wall of a small-town courthouse in Cameroon overseen by two dynamic, wisecracking, larger-than-life sisters - one the court's president, the other its state prosecutor - who are helping women stand up to abuse. Covering the worst mass shooting in United States history and its immediate aftermath, the news staff of this station in Roanoke, Virginia, demonstrated knowledge of their community, mastery of their journalistic craft and remarkable, much-needed calm. Lehrer's talk show is a wide open yet shrewdly managed forum in which every sort of political, social and cultural issue is considered and where New Yorkers, in all their diversity, can get to know each other. The subject of Brett Morgen's lyrical, unhurried, eight-part exploration of small town life is Watersmeet, Michigan, a folksy hamlet reminiscent of Mayberry and Lake Wobegone, but undeniably, hearteningly real. In a strongly researched and reported hour that sometimes played like a political thriller, "FRONTLINE" traced the Bush Administration's expansion of Presidential wartime powers to a determined, secretive campaign by the Vice President, that stretches back three decades. Responding to studies that have shown that nearly half of all college students have experienced bouts of disabling depression, mtvU created an impressive, multi-platform campaign that includes public-service spots and a comprehensive website where students can get information, advice, even upbeat music. Robert Levi Films, Independent Television Service (ITVS) Along with celebrating the work of the often overlooked arranger and composer ("Take the 'A' Train") who was crucial to Duke Ellington's sound and success, the documentary sensitively explored the homophobia that kept Strayhorn in the shadows. This thorough, open-minded investigation of the worst single killing of civilians by American troops since Vietnam put not just the incident into better perspective but the entire Iraq War and the terrible choices it presents both soldier and civilian. The way they were on Madison Avenue, in the Manhattan towers and the bedroom communities of New York, circa 1960, is recalled in rich detail and a haze of cigarette smoke in this exemplary period dramatic series. Let none dare call it "truthiness." Colbert, in his weeknight Comedy Central send-up of politics and all that is bombastic and self-serving in cable-news bloviasion, has come into his own as one of electronic media's sharpest satirists. 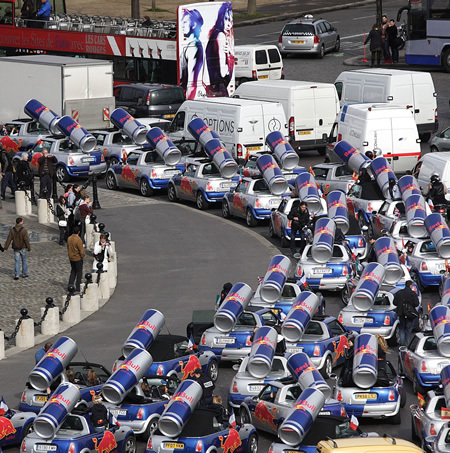 Red Bull made a spectacular entry into France on Tuesday April 1, 2008. 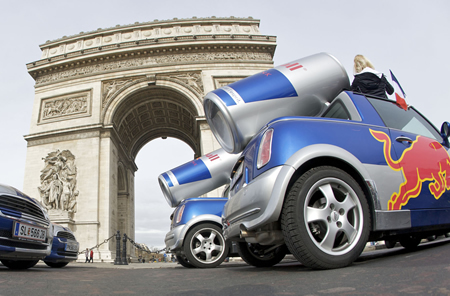 The world's largest energy drink producer celebrated its long-awaited arrival in that country with 150 "Wings Teams" from around Europe forming a magnificent get together as they circled around the Arc de Triomphe in their distinctive blue and silver Minis just hours after a BASE jumper got the "Wings for Paris" day off to a flying start by leaping off the Eiffel Tower and a motorcycle rider made a gravity-defying ride over a 50-meter high landmark arch in the La Defense business district. 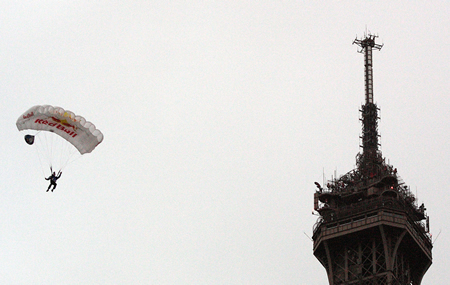 Just after daybreak, Swiss BASE jumper Ueli Gegenschatz got the Red Bull "Wings for Paris" day off to a dazzling start with his picture-perfect leap off the top of Eiffel Tower, France's 324-meter high national landmark. "It was an exciting climb up and the jump went well with a nice opening," said Gegenschatz, who had made his clandestine ascent up the side of the tower in the early-morning hours under the cover of darkness. 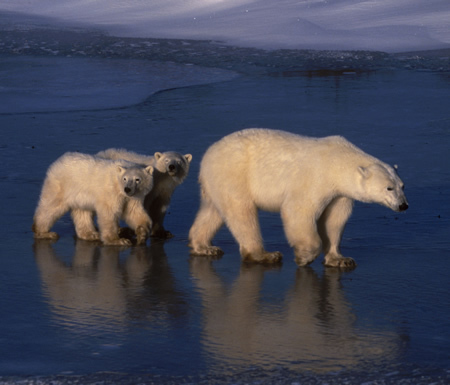 "It was pretty cold up there and there was quite a bit of wind. I was glad when the sun finally came up. 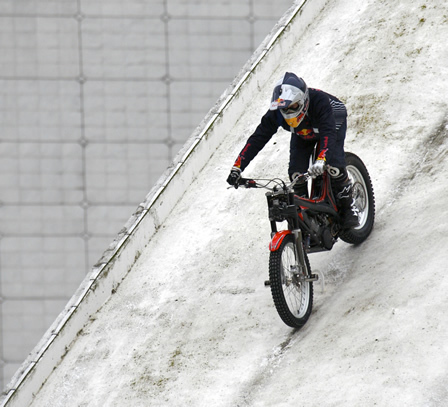 It's a great way to introduce Red Bull to France." 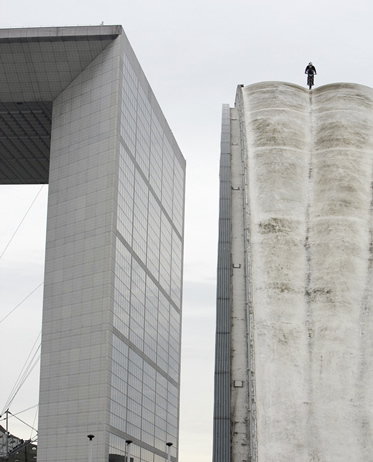 About two hours later French trial motor bike specialist Julien Dupont gave countless thousands of rush-hour commuters in Paris's La Defense business district a rush of their own with a gravity-defying motorcycle ride up, over and down the other side the 50-meter-high arched concrete roof of the CNIT center building. "Everything went according to plan on the way up and it was my greatest accomplishment on the bike ever," said Dupont, who was helped by two tall women in short skirts who distracted security. 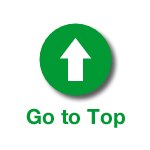 "The roof was a bit slippery so I had to slow down a bit on the way back down the other side. It was tricky getting the (80-kilo) bike over the fence but that all worked out well." The Austrian company known for its non-conformist style lived up to its reputation on April Fools' Day, picking April 1, of all days, to end the long dry spell for France. The energy drink is already available in over 140 countries with more than 3.5 billion cans sold in 2007. The highlight of the celebrations marking the arrival in Paris was a Red Bull-style car rally around the Arc de Triomphe by the "Wings Teams." The roundabout around the famous arch at the end of the Champs-Elysees might be one of most challenging for motorists anywhere in Europe -- with swift-moving traffic entering and exiting from 12 different avenues. 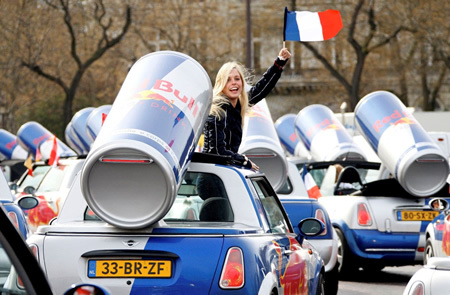 But the "Wings Teams" from 10 different countries across Europe skillfully navigated their Minis into and around the monument -- and after safely parking their cars they surprised curious Parisians by giving them wings -- free samples of the energy drink. A very limited Gibson or Epiphone Slash Signature model guitars are now available at guitar retail stores across the world. 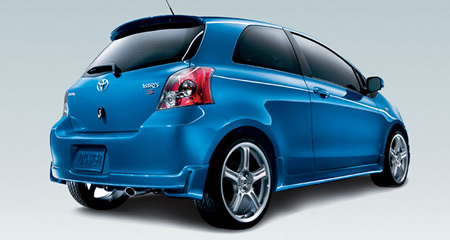 The limited editions of each model roll out exclusively on Tuesday, April 1, 2008. Three very unique models of the Slash signature Les Paul guitar from Gibson Custom, Gibson USA and Epiphone will be released simultaneously around the world at 5 PM US EDT at select dealers and will not be reproduced once they're sold out. 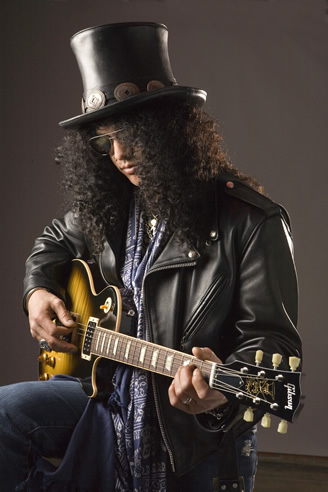 Each of the three guitar models have been designed and produced in close co-operation with the legendary Velvet Revolver Guitarist Slash, offering consumers the once-in-a-lifetime chance to own a guitar inspired by the iconic rock legend himself. All of the models will combine individual design features with Slash's own personal touches.